A small group concentrated jaguar spotting itinerary in the best viewing environment in South America. 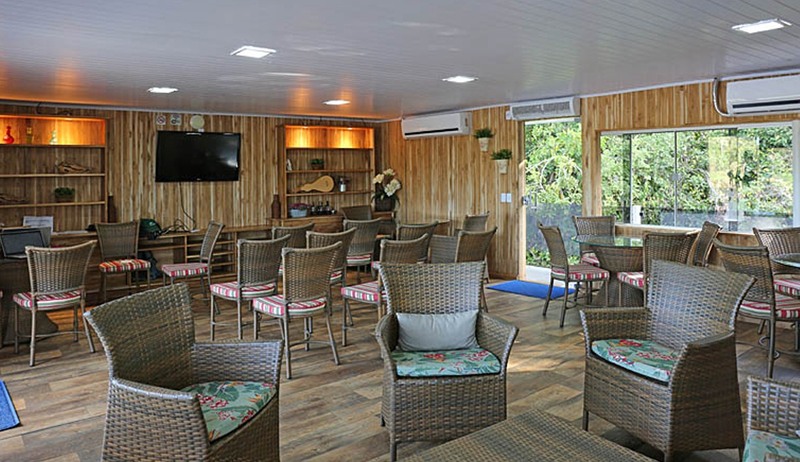 Stay at great lodges and on board the unique Jaguar Flotel and see the diverse wildlife and flora of the Pantanal close up with experienced guides and expert photographers. 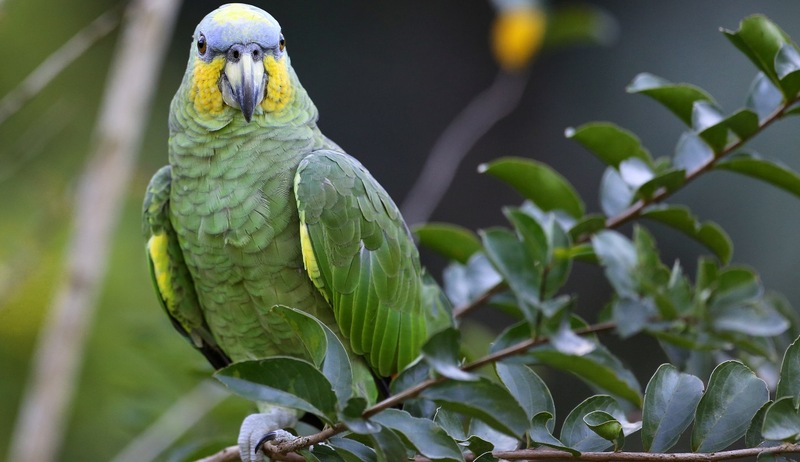 Add this itinerary to an Amazon trip for a complete Brazilian wildlife adventure. Please note - this popular itinerary books out quickly and space is limited. Please enquire early! Small groups are on fixed date - please enquire. Tailor made options also available offering total date flexibility but at slightly higher rate. Prices based on two sharing. Fly from Sao Paulo to Cuiaba. 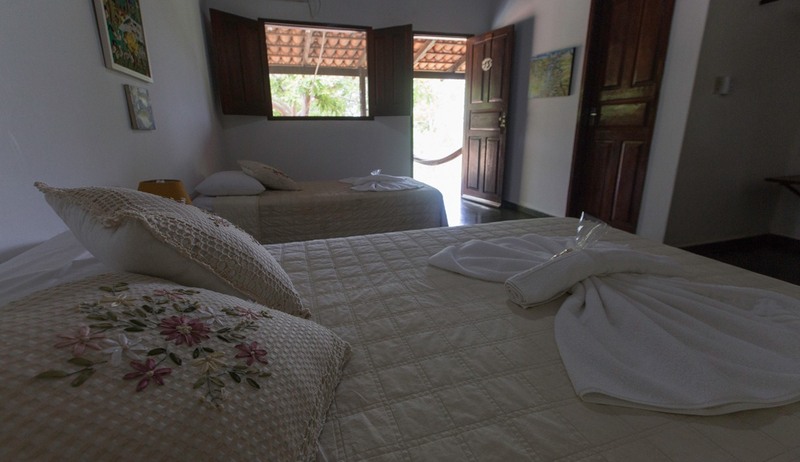 Transfer to the Park Eco Lodge at Chapada do Guimaraes for two nights on a full board basis. 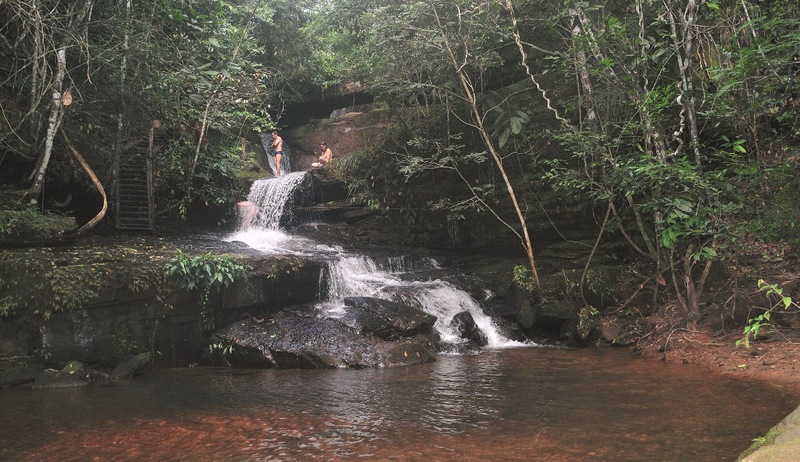 In the transition between the cerrado and the Amazon rainforest, the Guimarães plateau acts as the dividing line between the Paraguay and Amazon river basins, forming an ecosystem of great ecological interest and fascinating geological formations. 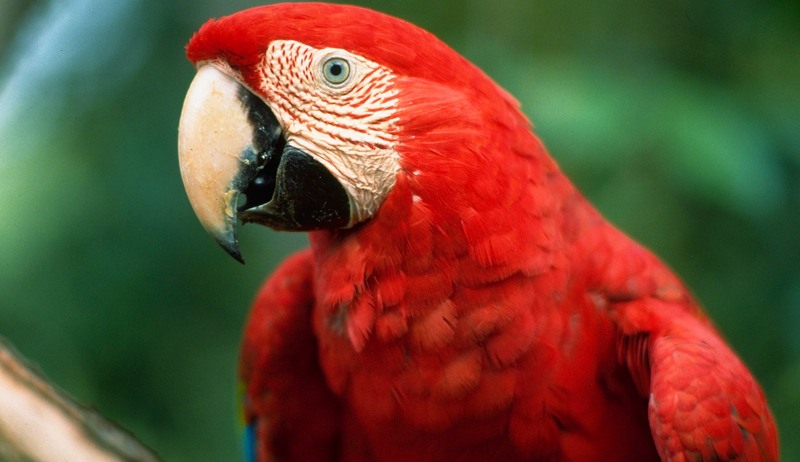 The cerrado is one of the South American lowland endemic centres for birds. Chapada dos Guimaraes National Park is considered a mystical region, with terrain reminiscent of the southwestern United States, it has waterfalls and rock formations, forests and pastures. 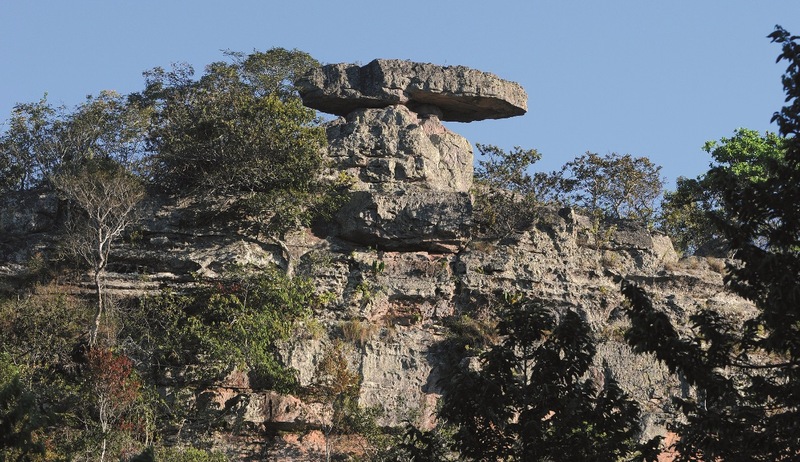 The National Park has a rocky plateau that is 2,400 feet higher than the lowland s of The Pantanal. 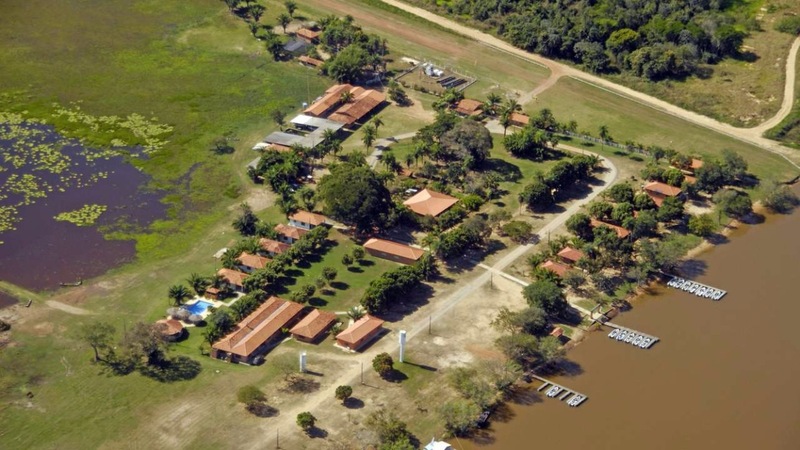 Transfer to Cuiaba, take lunch and depart for 3 hour drive to Jaguar Flotel. Travel through the dry forests and on to the Transpantaneria. Observe caiman, capybaras and waterbirds on the way. Enjoy dinner at the lodge. Pre-breakfast bird and wildlife viewing. Continue on to Porto Jofre by open-sided safari truck with wildlife viewings on the way. 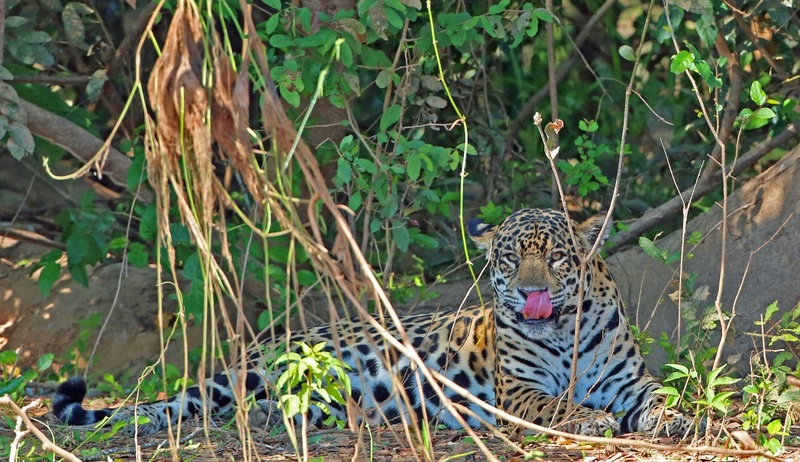 Take boat to Jaguar Research Center Reserve, four hour boat outing and join Jaguar Flotel. Dinner and evening nature lecture. Early boat outing and then transfer downstream to Porto Jofre and then by road back to the Jaguar Flotel. Wildlife boat trips on the wildlife-rich Pixaim River and night spotlighting drive on open safari truck. Breakfast, lunch & dinner. 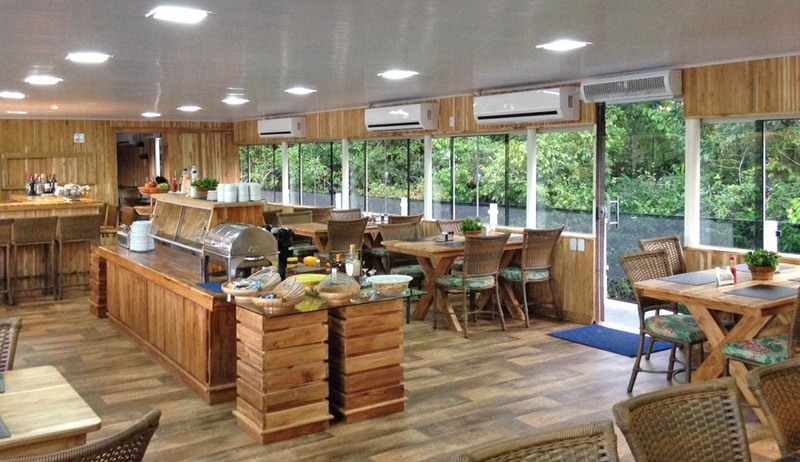 After breakfast, transfer back to Cuiaba for your flight to Sao Paulo. Unique accommodation offering unparalleled viewings of jaguars in their natural habitat. 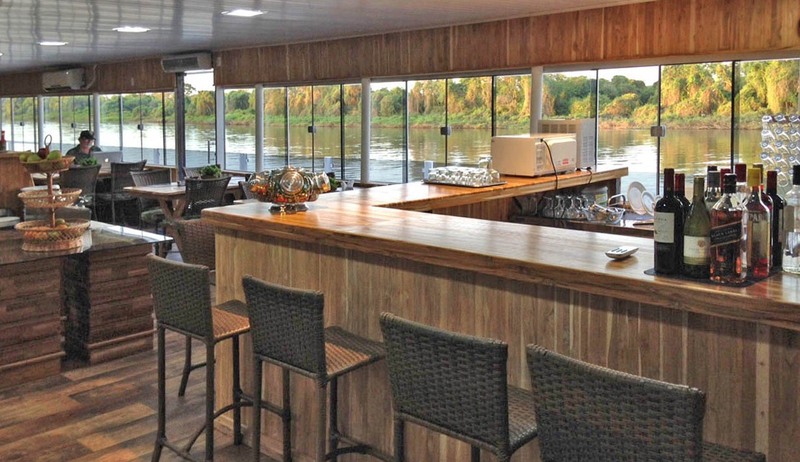 Moored on the banks of the Cuiaba River, roughly 2.5 km from the opening to the Three Brothers River this floating hotel is a must-stay for wildlife enthusiasts. 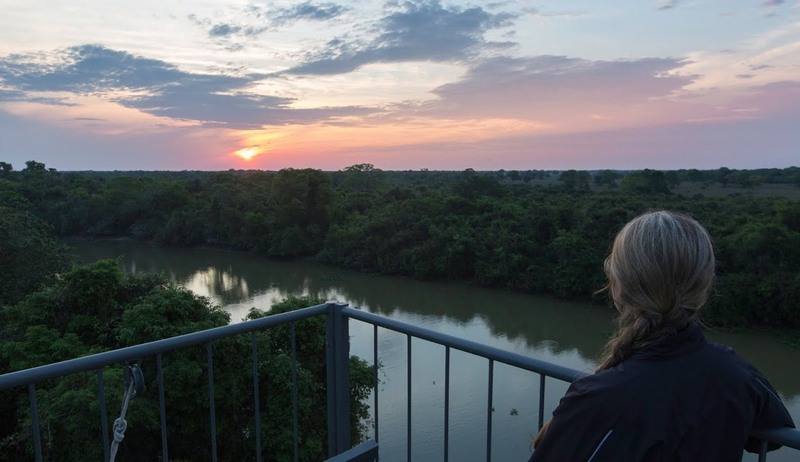 Wake up to views across the Pantanal plains and step out onto the deck to be immersed into the natural beauty of the river and surrounding wetlands, perhaps spotting a giant otter on your way to breakfast. This one of a kind flotel has spacious rooms for two with air conditioning, hot showers and en-suite bathrooms. 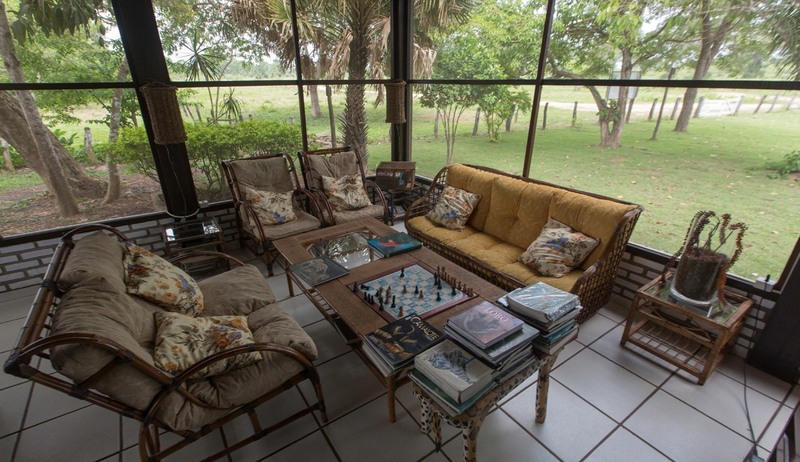 Ample windows offer excellent views of the river or the wide Pantanal beyond. Meals can be taken in the restaurant/lounge area which has large picture windows to allow you to soak in the view. Or you can choose to eat al-fresco on the top deck where you can enjoy the evening breeze across the river. Trips are on offer both morning and afternoon in motor boats driven by a skilled boatsman. 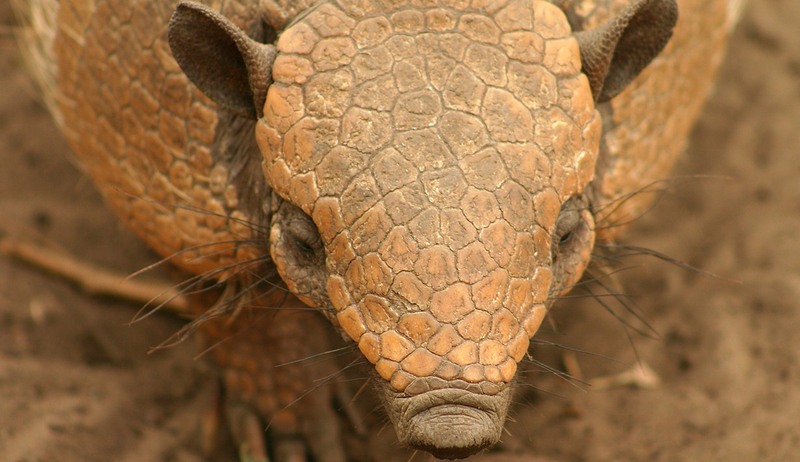 Knowledgeable guides will take you to the best spots to see jaguars, giant otters, caiman and capybara. The guides have a reputation for their friendly rivalry between them and will ensure you get the best from your trip. There is an average of 1.5 sightings of Jaguar per day. The felines, unfazed by their celebrity status, will go about their business whilst you observe and take photographs. In the evening the guides offer post-dinner presentations in the flotel’s lecture room on the local wildlife and their habitat. This provides a rare opportunity to ask questions and learn about the days sightings. End your day in a hammock on the top-deck, with a freshly made Caipirinha in hand and the soothing sounds of the river to unwind. 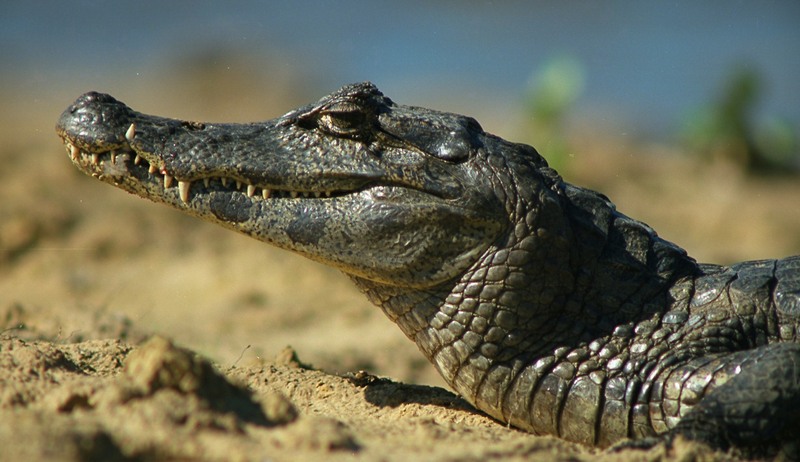 Owned and managed by naturalist biologists, the Southwild Pantanal has plenty to offer eco-tourists and wildlife enthusiasts. Photographers will be rewarded throughout the day with great sightings of native birds and animals in their natural habitat. 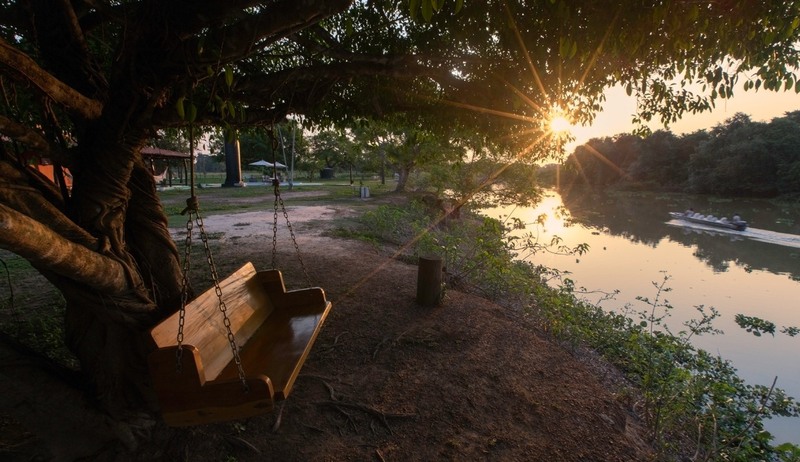 Located in an idyllic setting on the bank of the Pixaim River, just 2.5km from the Transpantaneira Road. 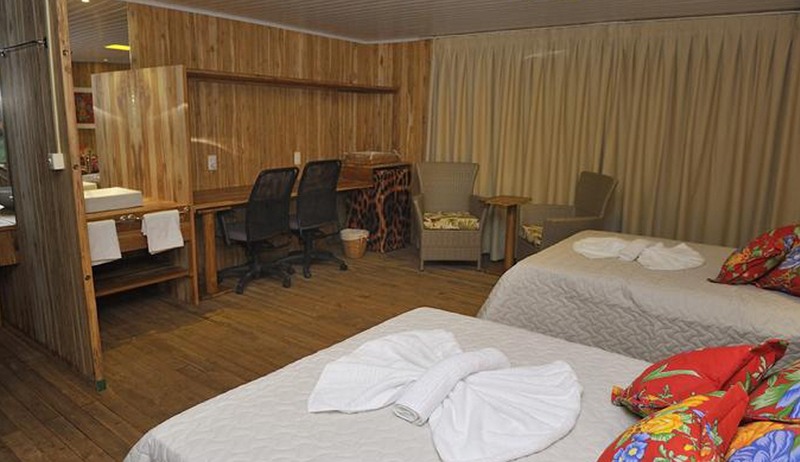 This intimate lodge has just eleven guestrooms which gives it a friendly and welcoming atmosphere. Traditional bedrooms in this old hacienda are comfortably furnished and decorated with local artwork. 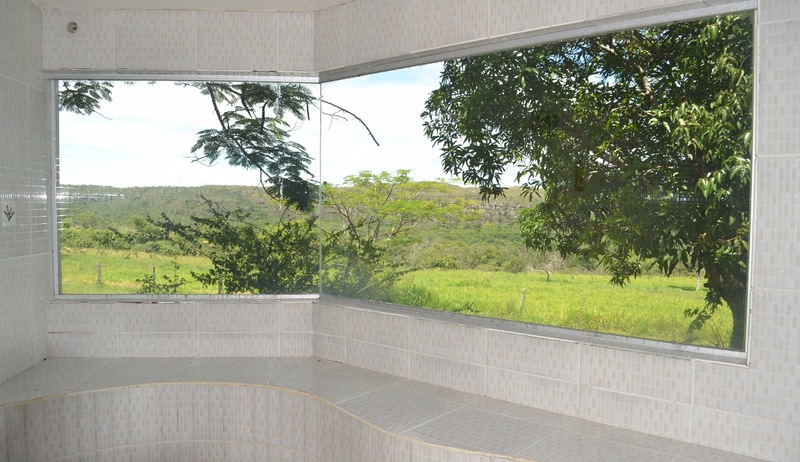 Rooms are cooled by air conditioning and have en-suite bathrooms. Each room opens to a veranda with hammocks to relax and enjoy the birds feasting on the bird feeders dotted around the gardens. The dining room is spacious and open meshed walls allow you to enjoy the views whilst you dine at the timber tables. The restaurant offers local produce in a central buffet, with inventive recipes. Breakfast doesn’t disappoint, with a variety of fresh fruit, smoothies, cheeses and meats. Take a walk along the forest trails and climb a strategically located observation tower to get unrivalled views high up in the trees. One of these canopied towers is just 16m from a Jabiru Stork nest where previous guests have excitedly reported sightings of hungry stork chicks. Electric catamaran trips are available on the Pixaim River. These silent boats allow you to float along unnoticed by feeding birds and animals and provide great opportunities for photographers to get some unique shots. Horse rides and cattle drives are also available with expert guides to take you off the beaten track. Spend your evening watching the sunset from the swimming pool or riverbank with cocktails and nibbles. Or if you are still feeling adventurous, take a night time game-drive in vehicles equipped for photography.